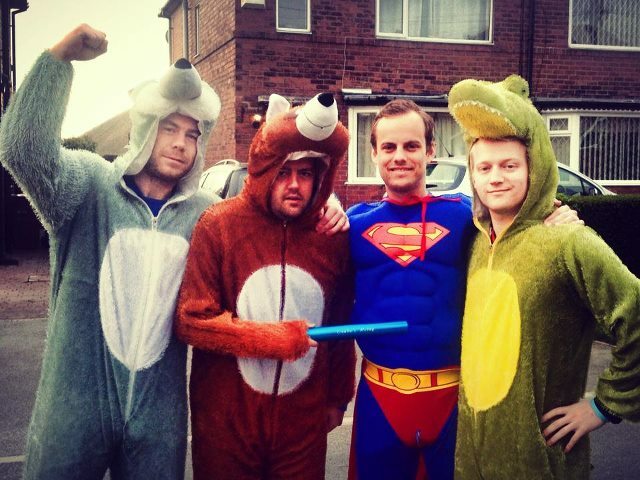 On March 13th 2015, Michael Nowicki, Phil Bradburn, and Keith Dean set out to take on the Kent Coastal Challenge. The run took them from Dartford to Hythe over a period of four days – a total of 176.4 gruelling miles (including a total ascent of 7,700ft). 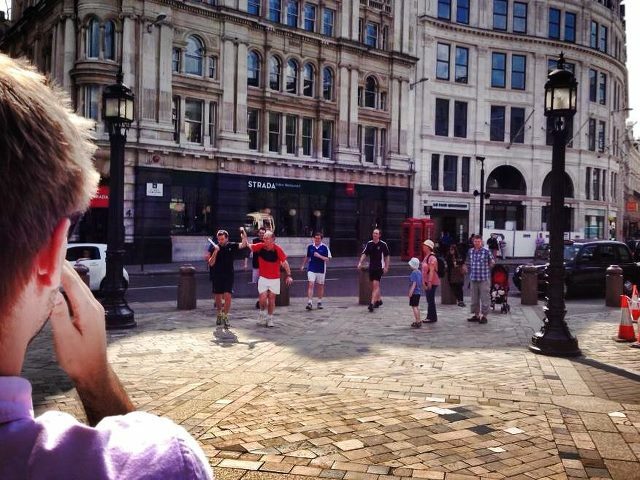 They were joined by friends: Andrew Burgess, Graham Perkins, Liam Gibson, Zoe Norman, Sophie Ravenscroft, Sarah Cox, Michael Nicolaides, Simon Roberts, Sarah Doughty, Susie Bradburn, James Lampert, Paul Thompson, and Michael White at various points on the way. 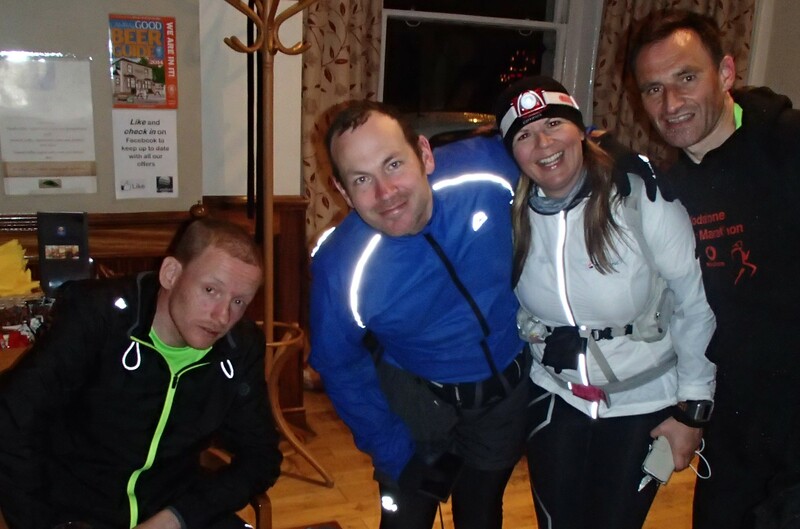 Phil and Keith completed the run in the dark on the evening of March 16th (Emilie’s birthday). Unfortunately, Michael couldn’t join them on day four as he twisted his ankle towards the end of day three. We’d like to congratulate all the brave and hardy souls involved and extend special thanks to Michael for organising the event and arranging for sponsorship to go to Emilie’s Charities! 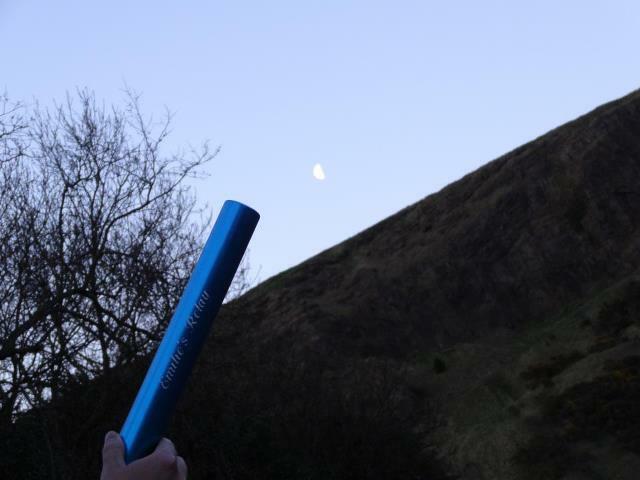 Michael heard about Emilie’s Charities at the time of the 2012 Emilie’s Relay and kindly decided to raise money for the charity through some strenuous running! 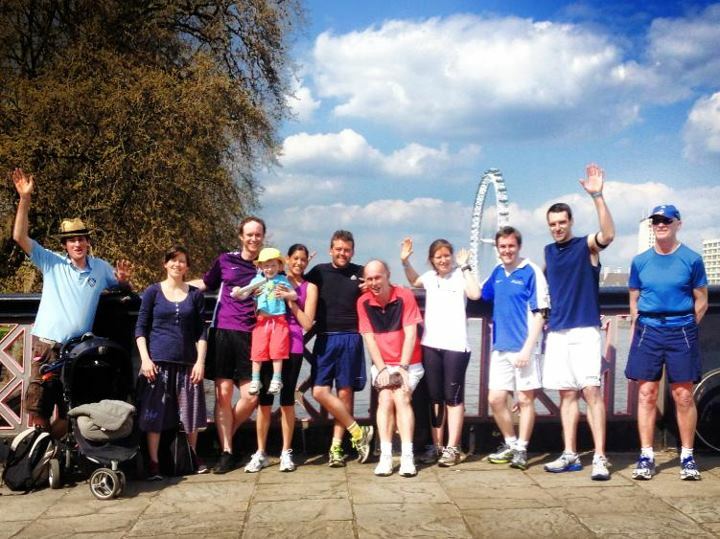 Michael and friends carried out the strenuous Kent Coastal run (260 miles over 5 days) in March. Quite a feat! Huge thanks to all involved! 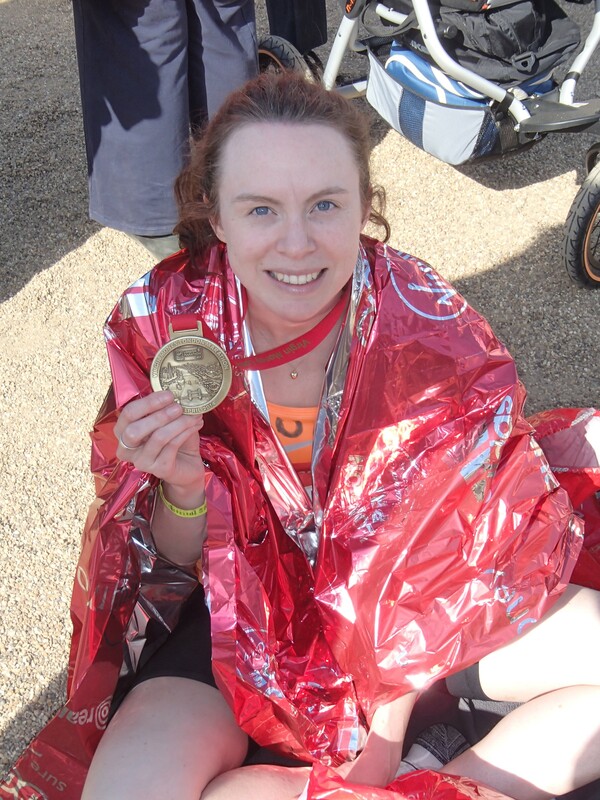 Many congratulations to Emilie’s cousin Lucy for successfully running the 2014 London marathon! 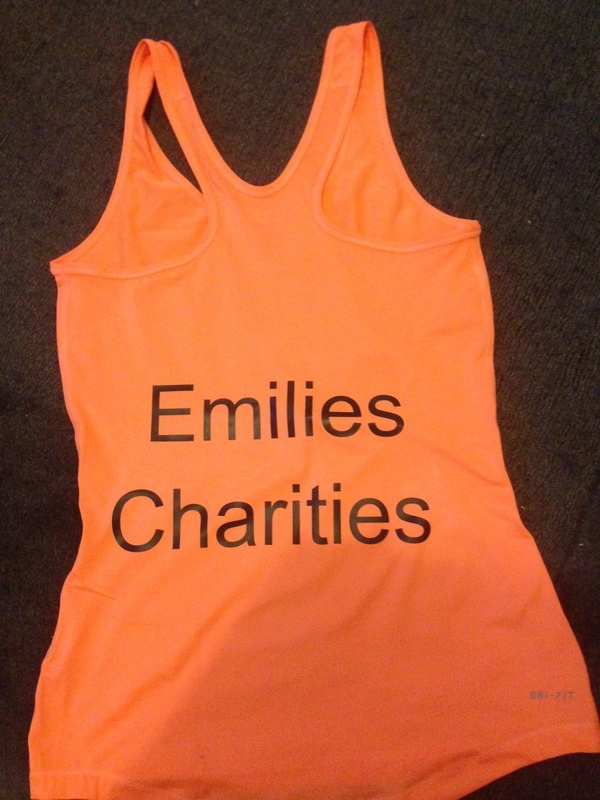 Very well done Lucy and thanks so much for doing the run to raise money for Emilie’s Charities! Note, from the pictures, that Lucy’s running vest seemed to indicate by the end of the race that Lucy had become Emilie’s cleaner! The Relay, from Edinburgh to London involving over 100 runners running five miles each or more, took place between May 2nd and May 6th 2013 ending at the steps of St Pauls around 3.30pm. 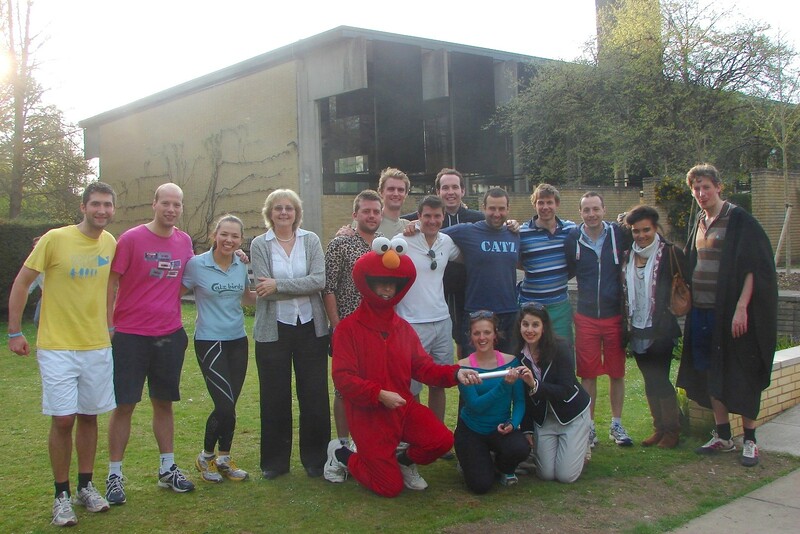 Pictures and posts from the whole event can be found on the Emilie’s Relay Facebook page. 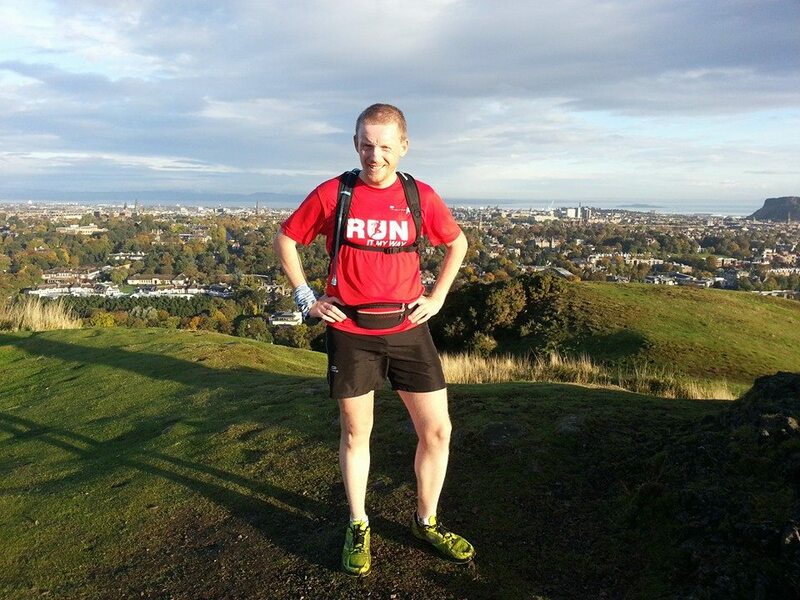 To all those involved in this fantastic, wonderful, event: to those who ran a leg (or several! ), whether as a panda, reptile, tiger, super hero, leopard, fox, rabbit, cow, bloodhound, fruit, children’s TV character, in other guise, or in civvies, for their energy and efforts; to all the brilliant routemasters for the tremendous work they put in to make everything go smoothly; to everybody who has very kindly sponsored the runners for their generosity; to everybody who has contributed to the Facebook page/Twitter for their support, kind words and good humour; to all those who were able to come to the after-party for their support and top dancing! ; to those involved in setting up the website and MyDonate pages; to anybody involved in the event in anyway not covered by the above; and, although already mentioned in every category above(! 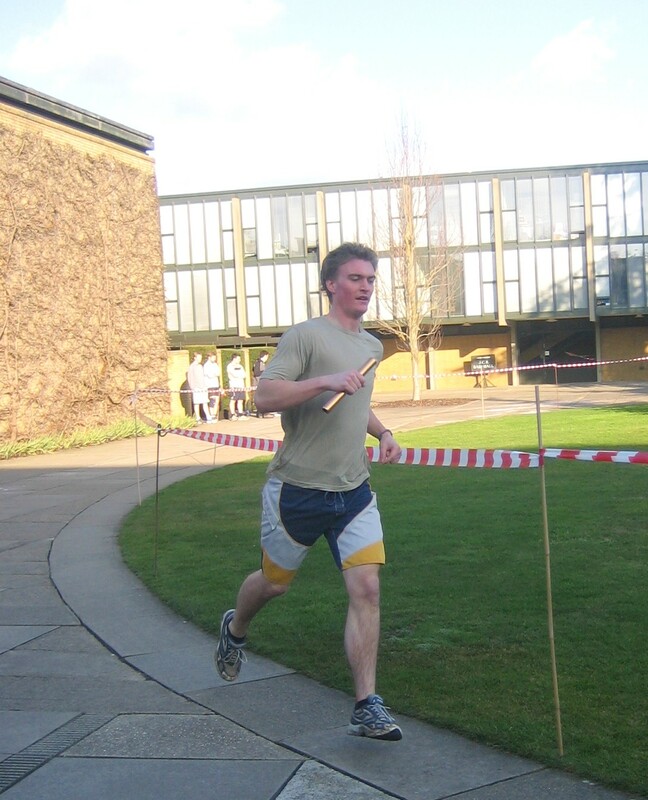 ), very special thanks indeed to the amazing John Ramsay, whose idea it was in the first place and who not only set the whole, military-scale operation in action but also followed the baton down from start to finish and ran over fifty miles in the process. No words are enough to thank you John – you’re simply the best! There was such a glow about this whole event from start to finish. Emilie would have been so proud of you all. 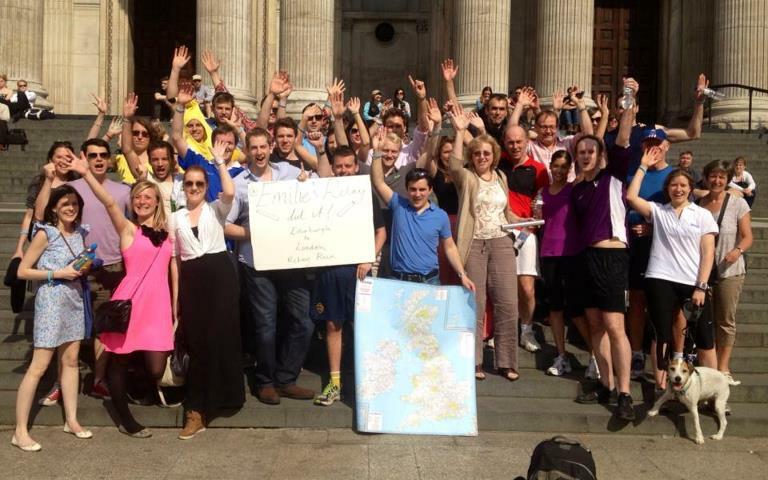 A fundraising relay from Edinburgh to London over five days in May 2013. 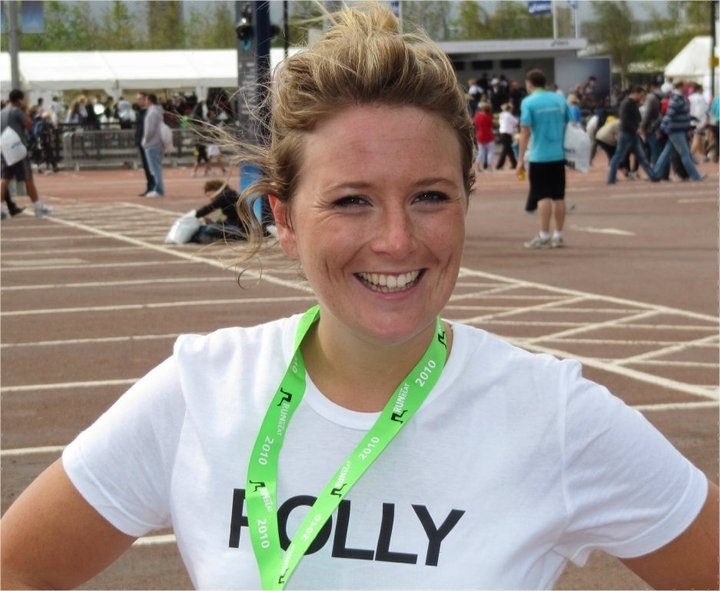 Having never completed anything remotely sporting, Polly Liverton decided to train to run a 1/2 marathon and raise money for Emilie’s Charities at the same time. 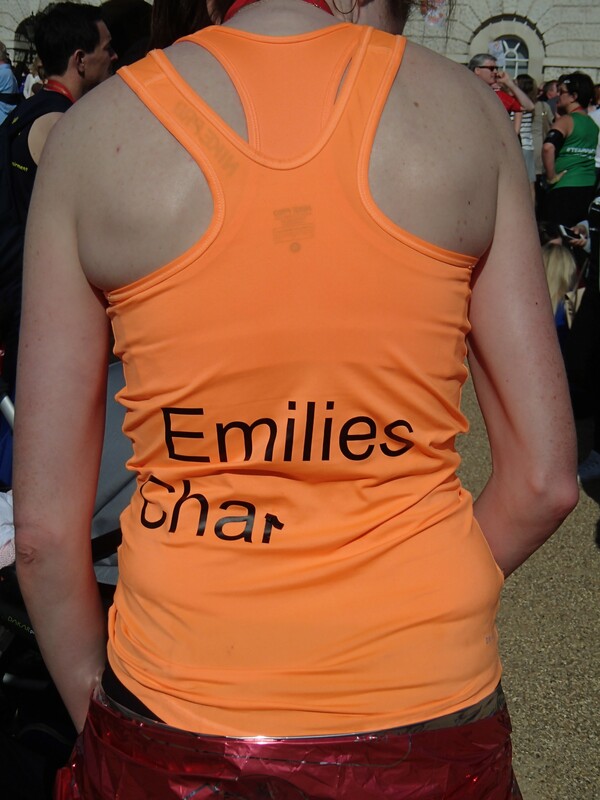 The 1/2 marathon took place around Greenwich in September 2010 and was completed in 2hrs 22 minutes, raising over £1,500 for Emilie’s Charities. Polly lives to tell the tale! 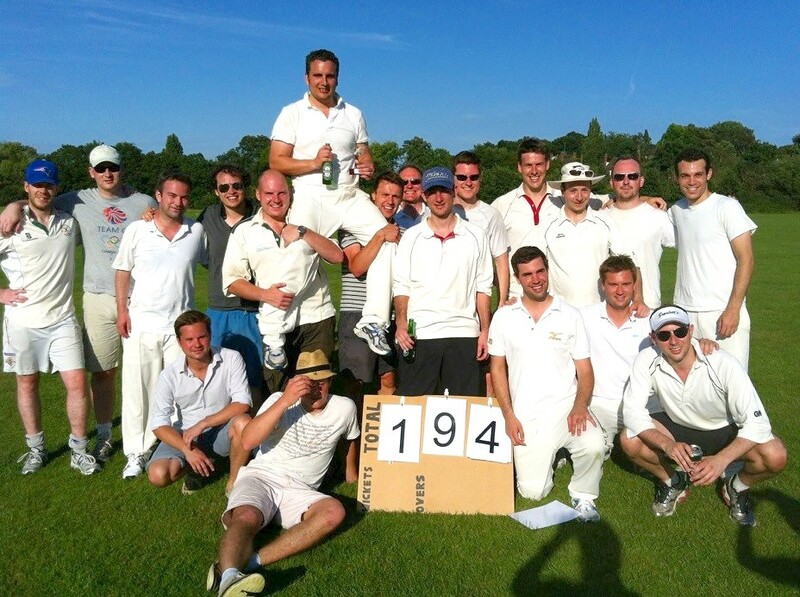 For the past four years Chris Bargate and Paul Adams have arranged an annual cricket match between ex students of St Catherine’s College Oxford (Catz) and the Bourne End Dogs to raise money for Emilie’s Charities. The Dogs beat the Catz in the final over in this year’s match to level the series at two all.